We’re organising an alternative Columbia Road Market event on Saturday 29th July. The event is free and everyone is invited. All of your favourite Columbia Road shops will be trading and we have arranged a street closure to throw the world’s greatest bake sale. 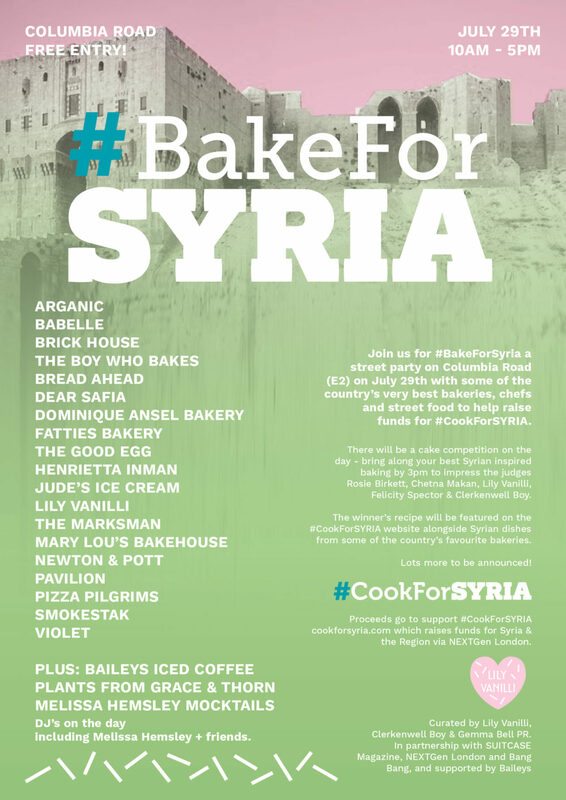 Featuring some of the country’s very best bakeries, chefs and street food (full lineup below), plus djs and a cake competition, and the best part of all is that all the funds raised will go to support the charity #CookForSyria. DJ’s on the day including Melissa Hemsley, Missy Flynn (Rita’s), Matt Doran, Chewy, Lily Vanilli, DJ Fluff Pot + friends. 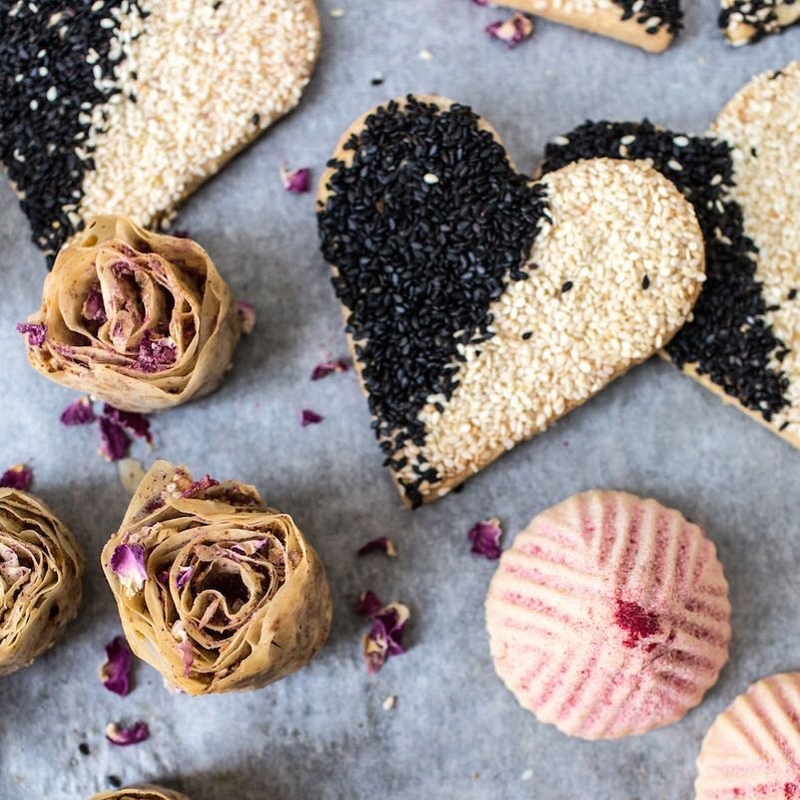 There will be a cake competition on the day – bring along your best Syrian inspired baking by 3pm to impress the judges Rosie Birkett, Chetna Makan, Lily Vanilli, Felicity Spector & Clerkenwell Boy. The winner’s recipe will be featured on the #CookForSyria website alongside Syrian dishes from some of the country’s favourite bakeries. Proceeds go to support #CookForSyria cookforsyria.com which raises funds for Syria & the Region via NEXTGen London. Curated by Lily Vanilli, Clerkenwell Boy & Gemma Bell PR.